Due to the ongoing demand and far-reaching impact of national logistics costs, Stellenbosch University’s Department of Logistics released the Logistics Barometer South Africa 2016. The second edition of the South African Logistics Barometer continues the macrologistics research work published in the CSIR State of State of LogisticsTM survey for South Africa (discontinued in 2014) and the first Logistics Barometer published by Stellenbosch University (SU) in 2015. “With the barometer we are further contributing to the extensive knowledge base that has been created over the past 13 years,” says Prof Jan Havenga, who pioneered logistics costs research at SU. The research is of great importance to the industry and the country as a whole. “The usefulness of calculating annual data lies in the fact that trends can be identified and applied by both operational and strategic analysts in the public and private sector for infrastructure planning, policy development and investment objectives on a macroeconomic level,” explains Prof Havenga. The Logistics Barometer has, as its backbone, more than 20 years of research into freight volumes and freight flows in South Africa. The logistics cost calculations have been refined over the past 13 years to make it one of the most robust and reliable quantitative reports on logistics costs globally. The Logistics Barometer South Africa 2016 reports on logistics costs calculated up until 2014, with an estimate for 2015 and a forecast for 2016. 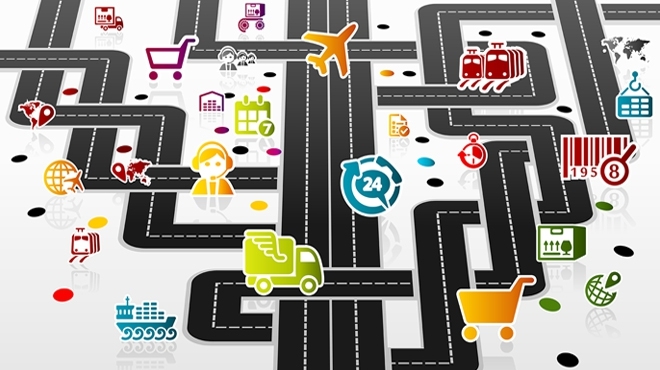 At R429bn, South Africa’s logistics costs in 2014 equalled 11.2% of South Africa’s GDP. South Africa’s economy is transport intensive, and the Logistics Barometer identifies transport as the most significant portion of logistics costs in the country (57%). This is followed by inventory carrying costs (15.2%), warehousing (14.6%) and management and administration costs (13.5%). More than 83% of transport costs (80% in 2013) are due to road transport, with rail tariffs contributing 15%, and pipeline tariffs 2% or less in recent years. The biggest contributor to road transport costs remains fuel. At 11.2% in 2014, South Africa’s logistics costs as percentage of GDP deteriorated slightly compared to 2013, and this trend is expected to continue. The ratio generally improved up to 2011, but has been on an upward trend since then. Logistics cost are forecasted to increase to R470bn in 2015 and almost R500bn in 2016, which would equal 11.8% of South Africa’s GDP. “The positive news is that we have a tool with which we can measure national logistics performance. Not many countries have this and many countries admire ours. Because of this, we’ve extended our work to other Sub-Saharan countries and most recently to India,” adds Prof Havenga. The researchers – Jan Havenga, Zane Simpson, David King, Anneke de Bod and Max Braun – have identified an urgent need for necessary and suitable skills (“soft infrastructure”) to be developed. “In the past, South African supply chain managers and executives have had the required experience and know-how that enabled the industry to perform well in the global arena. Knowledge and understanding of key operational elements and the ability to adapt to an ever-changing environment has been a key strength of successful logistics and supply chain companies in South Africa for decades,” the researchers state in the publication. “Although there are some very commendable initiatives from major logistics service providers in South Africa relating to training and skills development, a renewed focus on and drive within these areas are necessary to support the sustainability of the industry, and to facilitate continued human resources growth, development and skills transfer.